Rula Halawani is featured alongside a diverse group of Arab and Iranian artists whose photo-based works address migration and displacement, particularly by identifying traces of the past. 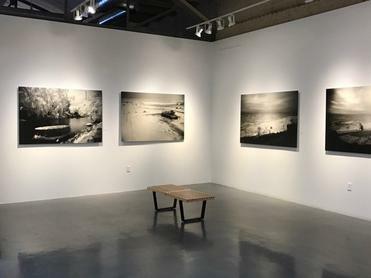 Halawani is represented in Presence: Reflections on the Middle East—which is on view from 3 February until 8 April—with a selection of photographs from her For My Father series (2015), a body of work that emphasises the erasure of Palestinian history from occupied villages in the West Bank and Israel. The Jerusalem-based artist’s ethereal photographs allude to a glaring absence as she documents emptied landscapes, abandoned homes, and desolate beaches.